Brand Map, website development, video production, sales tools, whitepapers, blog content, and social media management for bolting company with new technology entering the American oil & gas market. The oil & gas industry likes to go with what works, living by the overriding philosophy that “if it ain’t broke, don’t fix it.” Nobody likes to be the first adopter of a new technology; your product has to be proven in order to have success as a company. With this attitude, it can be difficult to break into the market with something that is truly revolutionary. 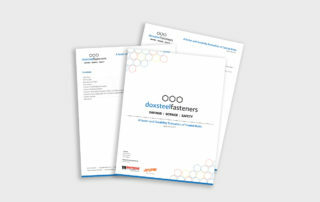 That’s the challenge Doxsteel Fasteners brought to ODDS. The company had been in business for more than 15 years and had made a name for themselves in Mexico as a supplier of bolts for extreme environments. Now, it was time to break into the US market. The secret to their success was their coating: a nickel-cobalt alloy that protected their bolts from harsh environments and ensured the bolts could be removed at any time without resorting to cutting, torching, grinding, or any other time-consuming or risky removal practice. To validate this claim, Doxsteel could point to an impressive stable of testing data. Each passing day brought fresh results from a battery of evaluations that stressed their bolts to the limit of endurance. 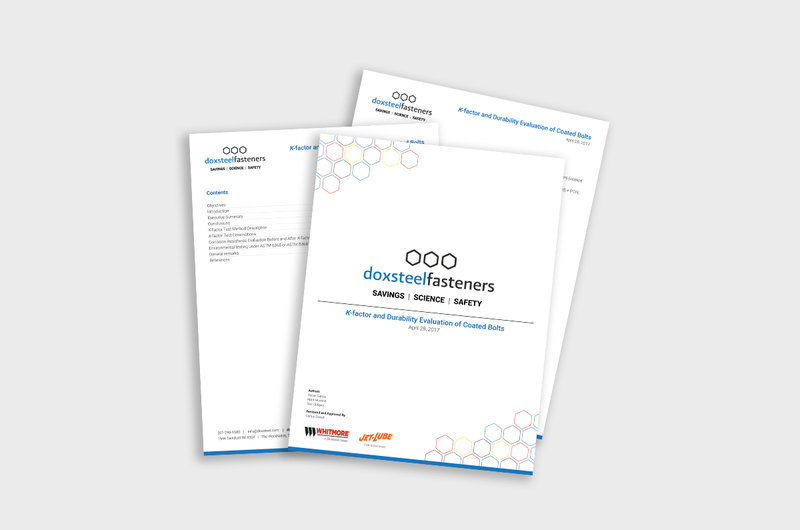 As a consequence, Doxsteel Fasteners was the only bolting company in the market that guaranteed its product’s safe operation for five years, even in extreme service conditions. 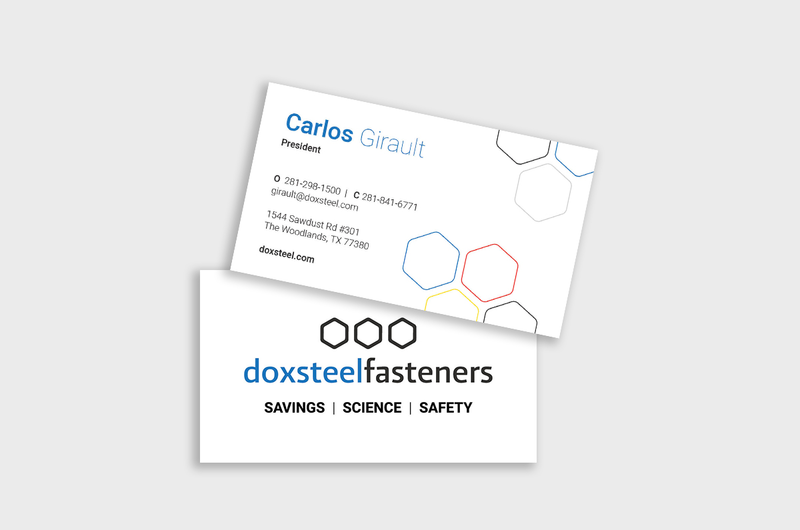 However, the power of Doxsteel still remained unknown to the vast majority of the market. Despite the wealth of data backing them up and their years of service in the Mexican market, both Doxsteel and their nickel-cobalt coating were unknown in the rest of the world. The number one expense at any facility, from offshore platforms to refineries and everywhere in between, is downtime. Every day that a facility is shut down for maintenance equals millions of dollars in lost production. Since it can’t be avoided, however, facility managers carefully schedule downtime to minimize risk. That’s why the industry is so resistant to change; if the reliability of a product is unknown, there is no possible way to manage risk effectively. The challenge for Doxsteel Fasteners was to enter the American market and convince both suppliers and producers that their bolts could save time, money, and lives through decreased downtime and safer manufacturing processes. 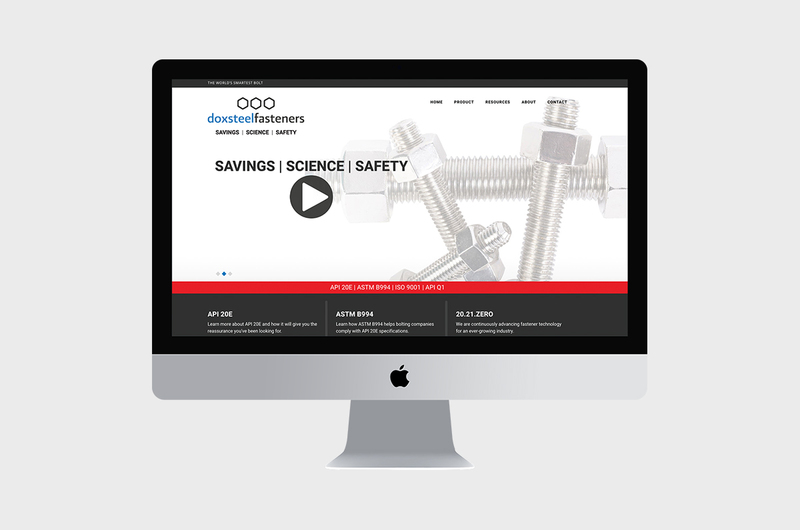 As a new brand in the market with a cutting edge technology, we recommended that Doxsteel Fasteners build and own the brand position as an industry educator. We helped them achieve this by focusing on the science behind their bolting technology. 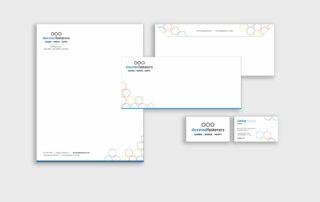 Developed a brand using design and font elements that evoke leadership. 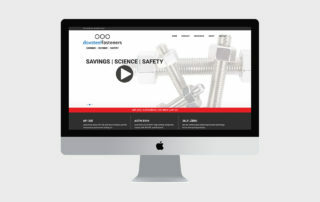 Built out a professional website that served as a database for testing information geared toward industry professionals. 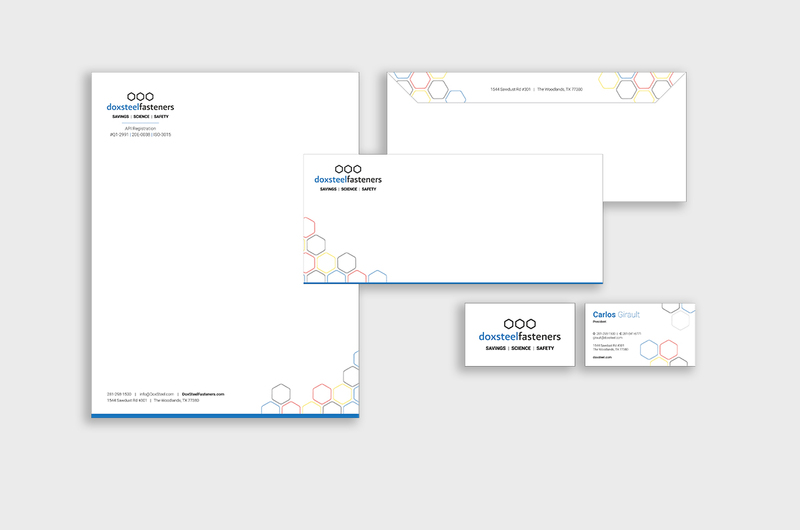 Coordinated hosting of a technical webinar to kickstart their brand position. Generated content focused on owning their industry specifications in search. Coordinated strategy for trade shows that included brochures, one-sheets, branded items, augmented reality games, and other materials. Executed social media campaigns and trained the CEO on how to leverage his personal social media platform to generate discussion and interest in the product. 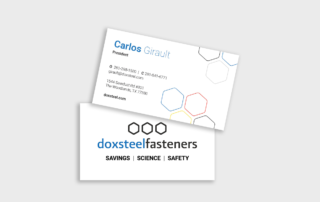 Successfully launched the Doxsteel Fasteners brand in the American market. Designed website for superior engagement and user experience. Achieved #1 Google ranking for terms related to API 20E and ASTM B994 standards. Dramatically boosted website traffic over time. Hosted a successful industry webinar with 850 registered attendees. Established a solid SEO foundation for the website to grow on.